SeaLife Underwater Cameras are made by Pioneer Research in Moorestown, NJ and were first introduced in 1993. In 2000, SeaLife developed the world’s first digital underwater camera. 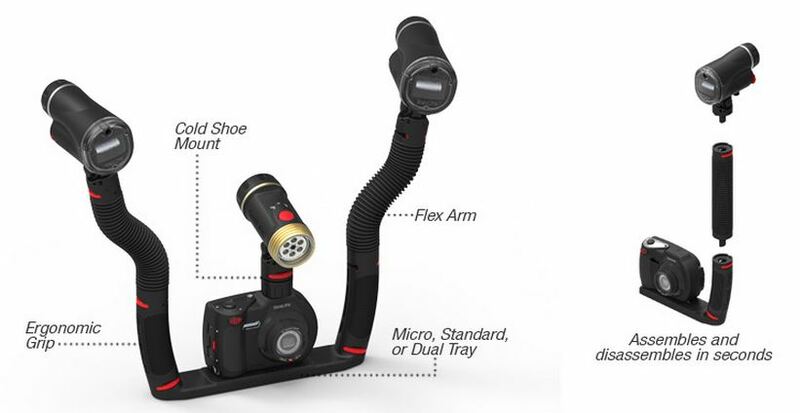 In 2007, SeaLife developed the first non-housed digital underwater camera, and in 2013 SeaLife introduced the powerful Sea Dragon Lighting system and its innovative Flex-Connect tray, grip, arm, and accessory system. By 2014, SeaLife introduced the Micro HD, the world’s first permanently sealed underwater camera, followed by the new Micro 2.0 in 2015. SeaLife cameras, lighting and accessories are sold and serviced in 64 countries around the world. Flex-Connect Accessories: Which Ones Do I Need?